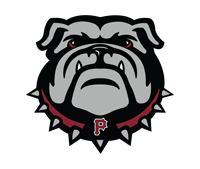 Palisade High School Football Spring Aeration Time: Click here to sign up for lawn aeration. 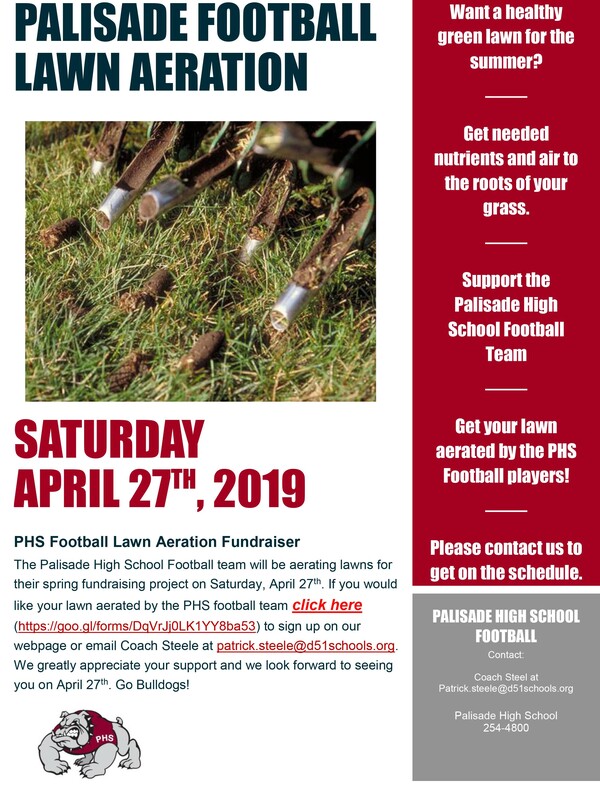 On Saturday, April 27th, the Palisade High School Football Team will be conducting our annual spring lawn aeration fundraiser. In the past you have been a loyal customer that has helped us achieve our goals as a team. Running a football team takes a lot of money and we do this fundraiser to not only earn money but to get out and work in the community. We feel that this fundraiser benefits both the community and the PHS Football Team, plus our student-athletes like to work. We would love to aerate your lawn again this year. If you would please click on the following link (https://goo.gl/forms/c42LY18xR44PeiUv2) and fill out the online form to let us know that you would like the service done, we will get you on our list and be at your house on April 27th to aerate your lawn. Thank you for your support of our programs and support of our student-athletes. We really appreciate it. Click here to sign up for lawn aeration.